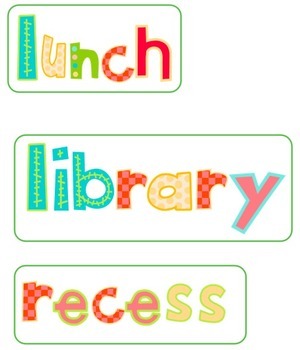 This product includes an assortment of words appropriate for a visual schedule in a classroom. 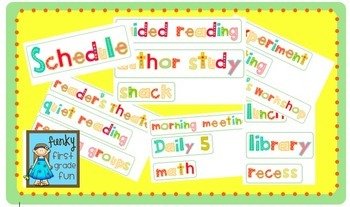 Having a visual schedule helps the teacher stay organized, aids in classroom management and helps students transition from activity to activity. 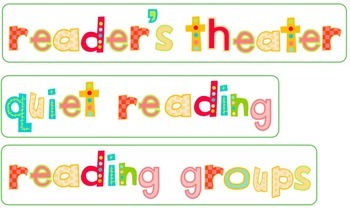 The words can be used in a pocket chart, with magnets on the back, with velcro on the back or posted in certain areas of the room. 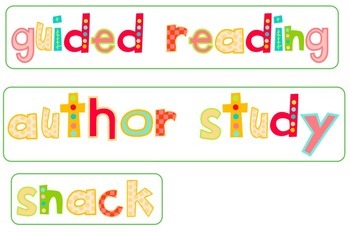 This product is appropriate for use with students in grades pre-k through 8 and would be helpful for homeschoolers as well.